The Lineminder transfers line from bulk spools (up to 1/4 pound size) at the proper tension without twisting. Adjusts to all types of saltwater and freshwater spinning or baitcasting reels. Folds compactly for storage. Made of rugged ABS plastic, plated steel, tempered aluminum, marine brass and oil-resistant rubber. 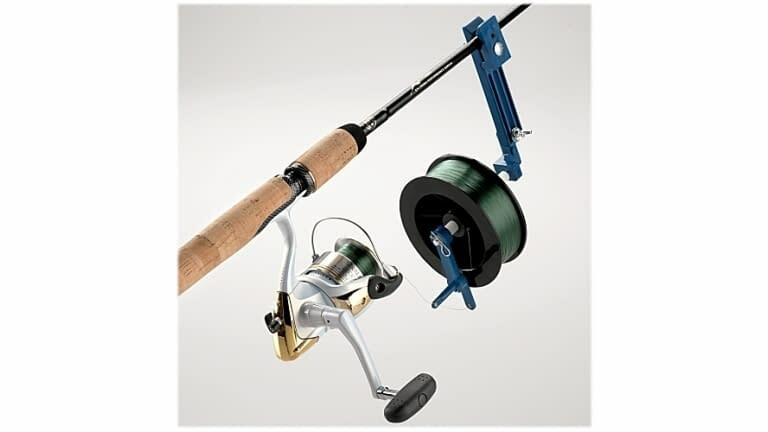 NOTE: Rod, reel, and line not included.